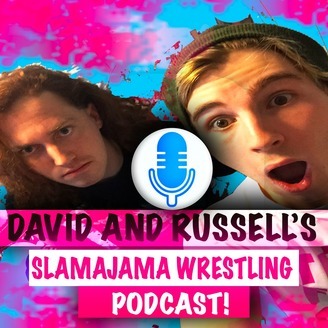 David and Russell's Slamajama Wrestling Podcast! A podcast about nothing and everything all at once (but mostly professional wrestling) being spoken about by two dudes with really bad ADHD. EP 1 - Monday Night RAW, MITB Controversy, Cheesesticks and more! This is the official debut episode of the most randomly stupid (hopefully in a fun, good, loving kind of way) podcast about everything and nothing all at once, but mostly professional wrestling! David Bennett is a musician in a group known as Feelings For The Weak which have gone on to appear on television programs such as The Voice and American Idol! 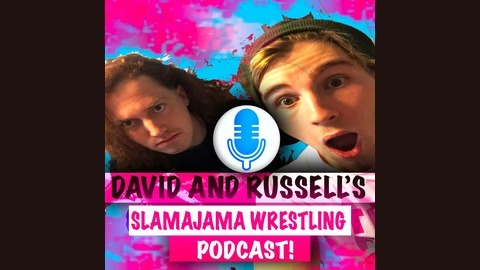 Russell Ketterman is David's best friend who is an inspiring actor, writer and director and together, these guys talk as they normally do with each other, but this time, in front of a microphone so all of you guys can listen as well! Make sure to subscribe and leave this podcast a good review and share it with your friends as new episodes will debut every Tuesday!